From the producers of Menopause the Musical comes Ladies Night! to form a male stripping act, in order to make some fast cash. They pitch the notion to a local club owner and take lessons from a slightly shop-worn, dance instructor with a heart-of-gold in all manner of things, including what women really want from a male stripper (and how to deliver it). 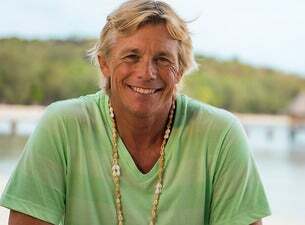 Christopher Atkins, who is back looking better than ever! He became famous for co-starring with Brooke Shields in the film The Blue Lagoon. Steven Tandy, who is best known for playing Tom Sullivan in the classic Australian TV series, The Sullivans. Alli Pope, who has featured in a range of TV shows, films and TVC's. Alli also directed the comedic musical, Menopause The Musical. Ladies Night is the ultimate night out and not only for the girls!